This year Local 1000 of the American Federation of Musicians will be a featured partner at the Great Labor Arts Exchange (GLAE), June 21-24 at the Tommy Douglas Center in Silver Spring, MD. For forty years the Arts Exchange has brought together labor musicians, artists and activists to share their experiences and to inspire each other. As the following article relates, the annual gathering was instrumental in bringing together the original founders of the local. This year we are happy to present one of our annual Joe Hill Awards to John McCutcheon, one of those founders and a former president of Local 1000. Here is a reprint of an article from Labor Notes on the 20th anniversary. It took nine years of fierce struggle for folk musicians to form a local of their own, so traveling troubadours could earn a pension too. Members of Local 1000, which turns 20 this year, are shown here meeting at the Highlander Center. Photo: AFM Local 1000. This year marks the 20th birthday of Local 1000, the North American Traveling Musicians Union—the only non-geographic local in the American Federation of Musicians. It took nine years of fierce struggle to form a local that would work for folk musicians and grant us the benefits the AFM can offer. Troubadours who travel the country, working mostly one-night stands, were falling between the cracks of other musicians locals. We needed one with no geographic restrictions and we wanted protection, a pension, and the right to stand with like-minded people. The idea for Local 1000 started with a handful of musicians who were coming every year to the Great Labor Arts Exchange, an annual gathering of labor activists, artists, and musicians—people who often are the heart and soul of picket lines and union rallies. 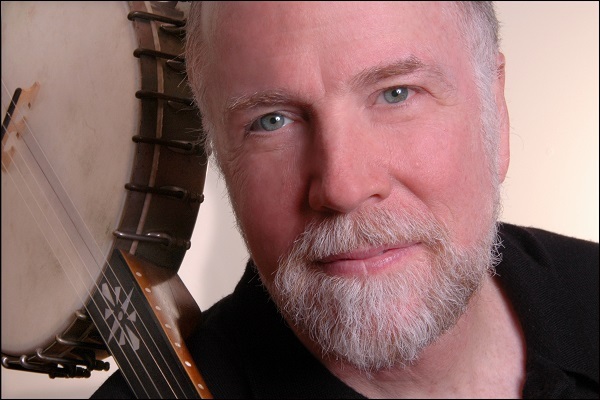 John McCutcheon, an award-winning singer-songwriter and AFM member, recalls a lunch discussion about union war stories. The musicians were amazed at the sacrifices that people in union jobs were willing to make by going on strike, walking away from their jobs, and slugging out the hard stuff. The discussion of nonunion musicians kept coming up until John O’Connor, who was on the board of AFM Local 76-493 in Seattle when he first came to the Arts Exchange in 1984, invited all the musicians to meet after the day’s activities to find out why people were—or weren’t—in the union. The excuse at the time was that the AFM was really an old-school union that didn’t represent all musicians. It was meant mostly for symphony musicians, jazz players, people who worked in one city. It wasn’t geared for traveling folksingers who play different cities every night. As an AFM member in the folk world, you were required to do the tedious work of filing your contract with—and paying dues to—the geographical local where you played. Therefore, every city where you played, you had to find the local, find out the dues for a single engagement, and pay those dues to that local. Yet union officials were very clear there would be no contract enforcement or job protection in return. Out of this conversation came a half-baked idea to form a rank-and-file movement of traveling performers to make the union relevant to folkies—and make folkies relevant to the union. So the New Deal Committee was formed, an association to represent the specific needs of musicians on the road. Members paid $35 annual dues to the committee, and also had to be members of the geographic locals where they lived. New Deal would recruit people to join the AFM and at the same time get the union to start doing things that were relevant to us. The steering committee started to organize other troubadours they met on their journeys, and they kept meeting each year at the Arts Exchange to report on progress. For Charlie King, the focus of starting a local was to earn a pension. At the time, wherever a musician played, the only way to get a pension contribution was to file your contract with that local. The employer made a pension contribution based on the union’s recommended minimum pay rate, called the “scale”—not on the rate you actually charged for your performance. The scales were so low, and the pension contribution was so insignificant, that it would be a very small pension when you got vested. There was no real incentive to participate. King pointed out that folk musicians charged more than the scales in most locals, which were often well below $100 in those days. He wanted to make the pension contribution fit what we were making. “You know, it would be great if we could start our own local,” he said. To the credit of the AFM, the union flew the New Deal committee to New York several times for meetings. The AFM felt the pension idea was worth pursuing. The union had been losing members for decades, so its leaders were interested in finding new ways to recruit people—and now here was a committee organizing on its own and showing up on the union’s doorstep. To get our own local, we needed to write a bylaw that would fit us into the fold. King and O’Connor went to the 1991 AFM convention as guests and introduced the bylaw amendment. It was highly unusual for non-delegates to have the opportunity to address the convention. And they also brought flyers and talked to people about what they were trying to do. The amendment was referred to the executive board, which decided to approve the charter. But first we had to have our own bylaws and 50 members. And they did. We got the people, and in 1993 we got our charter. It wasn’t all easy after that. We struggled to keep members. But through years of hard work, today we stand 500 members strong, the largest AFM local without a major collective bargaining agreement, and we continue to grow. We offer contract protection, pension, health insurance, disability insurance, an emergency relief fund for members who fall on hard times, a Fair Trade Music campaign, solidarity, and the knowledge that we are doing the right thing. Here’s to the next 20 years! Solidarity Forever! Tret Fure is president of AFM Local 1000 and tours internationally as a singer-songwriter/musician. Read and hear more about her at www.tretfure.com.